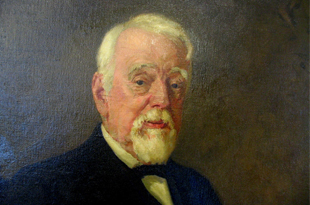 John Andrus was born in 1841 in Pleasantville, New York, graduated from Wesleyan University and soon moved from teaching school to pursuing his talents as a an investor and a businessman. His primary business, the Arlington Chemical Company, manufactured and distributed typical medicines of the day, and his business interests included large land holdings as far away as Alaska. Family stewardship of the Foundation has been informed by Mr. Andrus’ values: thrift, practicality, modesty, loyalty, excellence, and an appreciation for direct service to those in need. The Philanthropies have benefited from the participation of 6 generations of Andrus family members. The Board of Directors of the Surdna Foundation launched the Andrus Family Philanthropy Program (AFPP) in January, 2000 to engage and involve its larger family, in particular its younger generations, in philanthropy and public service . Led by executive director, Steven Kelban, the program includes the Andrus Family Fund which was established to provide opportunities for younger family members to learn about and participate in organized philanthropy. and being receptive to new, creative ways to encourage and develop family philanthropy.